O-Man, I still think firing offensive coordinator Nathaniel Hackett was a mistake. He did the best he could with mediocre talent that got worse with injury and regression. We aren't finding anyone better than him given the state of the offense. The defense, although very good looking at the entire season, had breakdowns in discipline and communication in addition to execution failures at many critical times. We definitely could have found someone better than Wash with the amount of individual talent on that side of the ball. The wrong coach was scapegoated. Not to mention, Hackett was Head Coach Doug Marrone's guy for years. That decision will haunt us – and I know you think so, too. I’ve said since it happened late in the season that I thought Hackett’s firing was curious, and I never envisioned it in any way improving the Jaguars’ offense. I never believed he was the problem with the Jaguars’ offense, and loyal readers of this column (he knows who he is) know I believe the NFL’s rush to credit or discredit – and eventually change – coaches as perhaps the silliest, least-meaningful aspect of this league. The coaching carousel is aptly named; changes often have a musical-chairs, change-for-the-sake-of-change feel that frankly makes January annually the NFL’s most tiresome month. Specific to your question, I saw no overriding reason to change either Hackett or Wash. Hackett coordinated the NFL’s sixth-ranked offense in 2017 when it was comparatively healthy, and he was only ineffective when injuries hit hard in 2018; Wash has coordinated Top 10 defenses each of the past three seasons. I believe both have a chance to be head coaches in this NFL and I believe both will have long successful careers as coordinators and/or head coaches. I also believe both will be fired again during their careers, most likely more than once. Because it’s always coaching in the NFL. Always. Is philosophy really that important in an NFL front office? Did the brain trust say “big-time defense and run the ball” or simply try to make the best team from the parts available? It's all well and good saying, “Let's make an explosive passing offense,” but if – or if you believe – there are quarterbacks available to upgrade your team and no big-play wide receivers or tight ends you can afford or who fit where you're drafting, you're kind of stuck with what you've got, right? Philosophy can be important, but philosophy realistically can – and should – be at least relatively fluid based on personnel. The Jaguars as your question indicates have been a run-first offense in recent seasons partially because Head Coach Doug Marrone is comfortable with that approach – but largely because the team’s personnel dictated that a run-oriented, conservative, defensive-oriented approach has made the most sense. With an elite quarterback and better playmakers, that approach would have looked at least somewhat different. I don't think we need to change our approach we just need a few better players. If you are watching these playoffs you see you need to run the ball and play good defense. With other teams interviewing the same OC candidates as the Jags, how much information will Jaguars Executive Vice President of Football Operations Tom Coughlin/General Manager David Caldwell reveal concerning their plan to acquire offensive personnel? You'd think they have to be somewhat transparent if they need to compete with other suitors possessing more favorable offensive roster situations, no? The Jaguars’ intentions regarding acquiring offensive personnel undoubtedly has been and will be discussed in detail when meeting with offensive-coordinator candidates. There’s not a significant amount of information to reveal because the Jaguars have no way yet of knowing who they will acquire either in free agency or the draft. I feel like we have watched Nick Foles' market value climb above what the Jaguars can pay. O, forget a bridge quarterback. Pay Foles a multi-year contract, draft offensive line, tight end and receivers and wait another year or two to draft quarterback and give him time to grow. My thoughts on drafting quarterbacks is starting to change. The old way was you would draft a quarterback and give him a four-year window to prove his worth. In the meantime, you don't draft any quarterbacks because you already invested in one. It makes sense, but the problem is if you miss on the guy you drafted. The Jaguars have done this several times and missed out on great quarterback in the following drafts. I now believe the Jaguars need to draft a quarterback this year, but absolutely be ready to draft a quarterback next year and maybe even the next year. How different would this team be had we drafted Big Ben the year after Byron Leftwich or Patrick Mahomes even though we had Blake Bortles. I don’t believe you can draft quarterback every year, but can you do it more than once every four seasons? Do you need to be ready to move on if you have an opportunity to draft a special one? Absolutely, though that’s far easier in theory than in fact. 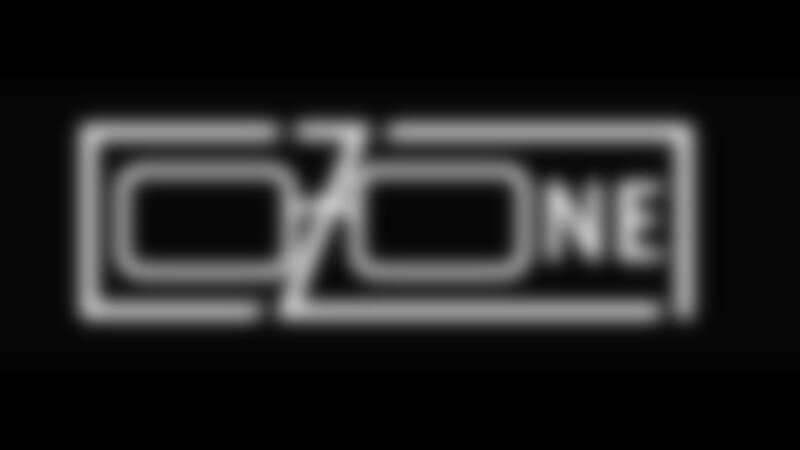 Zone, which of our free agents do you resign this offseason? Definitely think kicker Josh Lambo and guard Tyler Shatley. Maybe running back Corey Grant and offensive tackle Josh Wells. Who you keeping? I agree that Lambo will be re-signed, and re-signing Shatley likely will make sense because of his role and it probably will be affordable. Grant is less likely to return, and the question of his health going forward must be answered. As for Wells, my guess is he will sign elsewhere. He has shown he can play left tackle at a high enough level that he could be in demand for more than the Jaguars want to pay. I just read that a Jaguars player refused to go in a game. Were there mitigating circumstances? Any idea on how the coaching staff dealt with this issue? What are your thoughts on a player that refuses to play? Marrone mentioned at his season-ending press conference but didn’t mention the circumstance. My impression was the incident was dealt with firmly, quickly and appropriately– and that it wasn’t a long-term issue. My thoughts are that if a player refuses to play it should be dealt with sternly – and that the player probably should be suspended or at least held out of the following game. I see the appeal of Nick Foles, but the price seems a bit extraordinary. When I look at possible free-agent quarterback acquisitions, no one makes more sense than keeping Blake Bortles when you consider experience, talent and price. I know the front office thinks it's "time to move on" and you'll undoubtedly include that phrase in your answer- but is that really what makes the most sense when you look at this objectively? I think not. The Jaguars barring a major surprise are moving on from Bortles this offseason. This can only be stated here so many ways. Yes, it’s logical in some ways on paper to keep him. Yes, it makes sense in terms of the salary cap to keep him. Yes, I can make arguments in terms of on-field play why it makes sense to keep him. But the Jaguars will have a new offense next season. They will have a new offensive coordinator. Many pieces are going to be new. I continue to believe a rookie quarterback will be part of that newness. Having a six-year veteran who has been a face of the franchise for five seasons starting as your bridge … well, sometimes it’s time to move on. Hi John, No. 1: Is McCardell still on staff? No. 2: I think the choice of Kubiak is a no-brainer; but is he a candidate for a head-coach vacancy anywhere? In your mock draft you have every team in front of the Jags passing on a quarterback. Suppose the Tampa Bay Buccaneers and New York Giants both pick a quarterback – Dwayne Haskins of Ohio State and best of the rest. Do you think the Jags still take a quarterback or go in a different direction? Your question assumes that the Jaguars won’t have signed or acquired a veteran “long-term” quarterback. Under that assumption, I think there’s a good chance that the Jaguars will stay at No. 7 and take the best quarterback available. I also think there’s a good chance they will have a few quarterbacks they like and will consider trading up a few spots to get them. I would lean toward them staying at No. 7.